New Price. Beautiful water views from this 2 bedroom 2 bathroom 1st floor condo with large deck in Beautiful Isla Key. 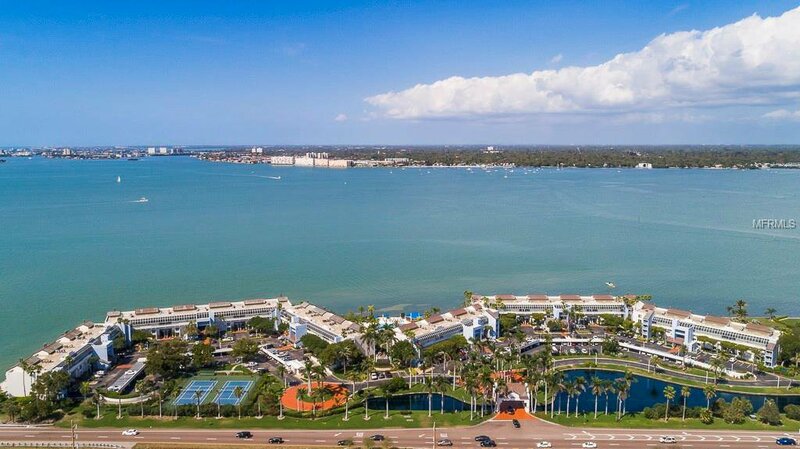 From your deck you'll enjoy soaking in the outside beauty of the swaying palm trees, sparkling waters of Boca Ciega Bay and overlook the islands largest tropically landscaped geo-thermal pool. This condo has a split floor plan with a den which can serve as an office or an extra room to accommodate extra guest. A/C was replaced in 2014. Tremendous income potential with high demand for seasonal rentals (30 day minimum) Nearby Isla del Sol Yacht and Country Club (private membership available) with 18 hole championship golf course and Marina. Easy access to the Gulf Beaches, Fort de Soto Park, the Interstate and 15 minutes to downtown St. Petersburg with many museums, shops and restaurants. 30 minutes to Tampa International Airport. Listing courtesy of KELLER WILLIAMS ST PETE REALTY. Selling Office: KELLER WILLIAMS ST PETE REALTY.